What does every little Princess need? 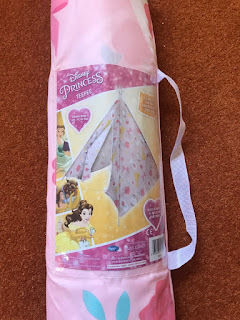 The team from Character World were kind enough to send me one of their newly launched Disney Princess Royal teepee's in return for a review and I can wholeheartedly say that I'm not disappointed, and neither is Mara! The teepee comes in its own little pack bag, perfect for stowing away when not in use. You simply build up the poles, thread them through the fabric and tie them all together at the top. 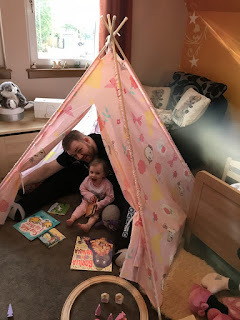 It literally took me about 90 seconds to build from start to finish, it was so easy and the instructions were very straightforward - and that's a big deal coming from me. The fabric of the teepee is so cute too. 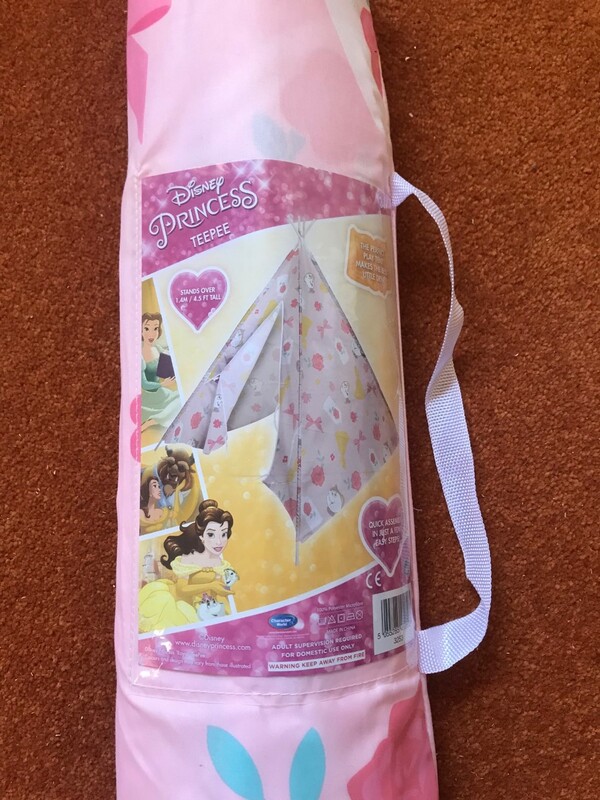 Its an officially licensed Disney product and is adorned with images from Beauty & The Beast (the original, and best, not the live action one!). There's Chip, Mrs Potts and the rose in the glass cloche to name a few. 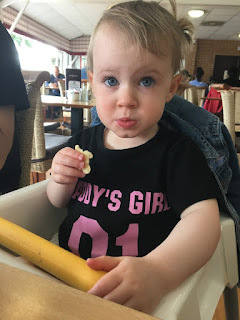 What more could a young girl need? 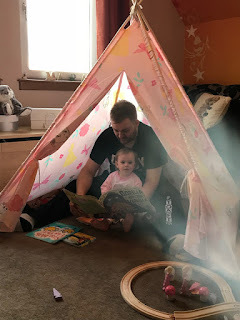 Standing at just over 4 feet tall, there is plenty of room inside for Mara and I to cosy up and read some books before bedtime, but she is equally happy playing in it on her own, having a little tea party with her teddies or simply taking a well earned nap. Given the nice weather we've had recently, we even had it out in the back garden to provide a shaded area for her, but with the handy tiebacks on the entrance Caroline and I could still see what she's getting up to inside. Also, in case there are any accidents, the entire fabric part of the teepee is machine washable so it can stay looking pristine and fit for any Royal engagement at any time. 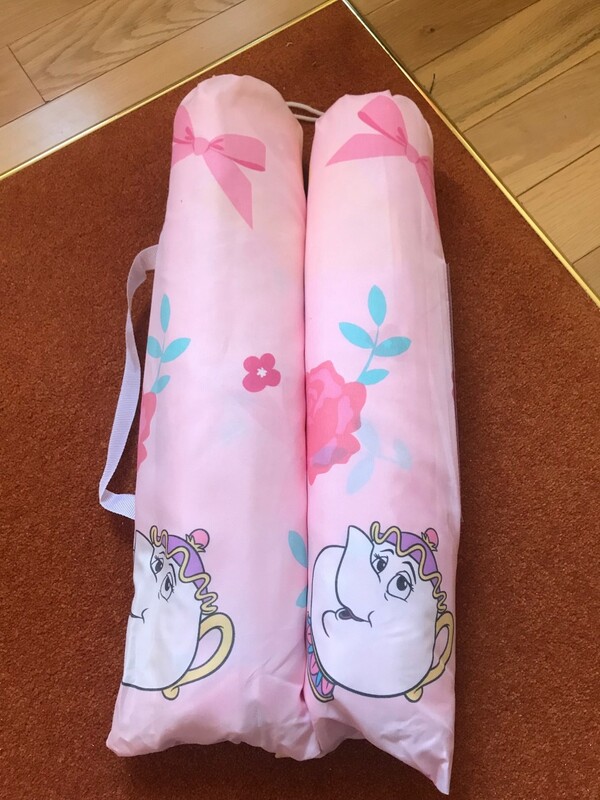 Character world haven't just catered for the little princesses in our lives, they have two other designs available for both boys and girls. There's a Paw Patrol one and a Star Wars one available too. I know a few dads who would be all over the Star Wars one for their daughters. 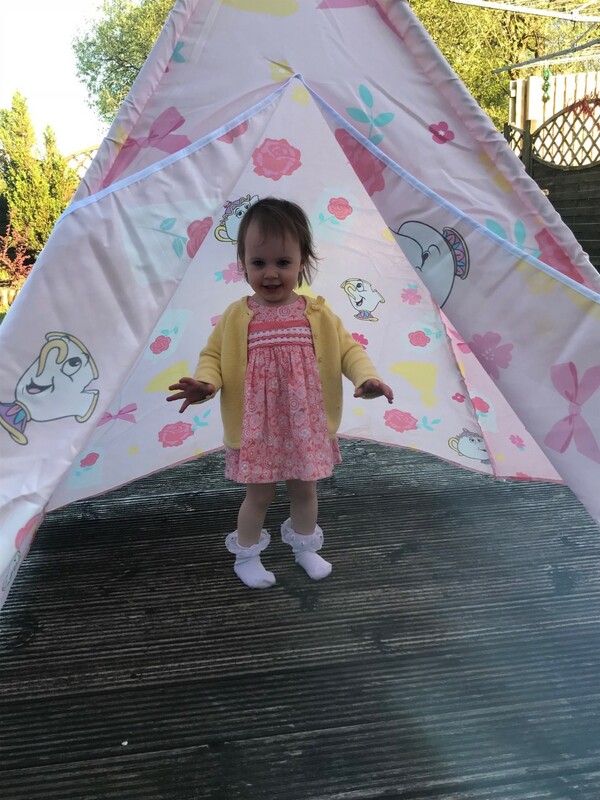 The Disney Princess teepee is a dream come true and it's delightful watching my little girl playing away inside, getting lost in her thoughts and playing with her friends. Retailing at around £35.00, its a purchase I can highly recommend for your littles. 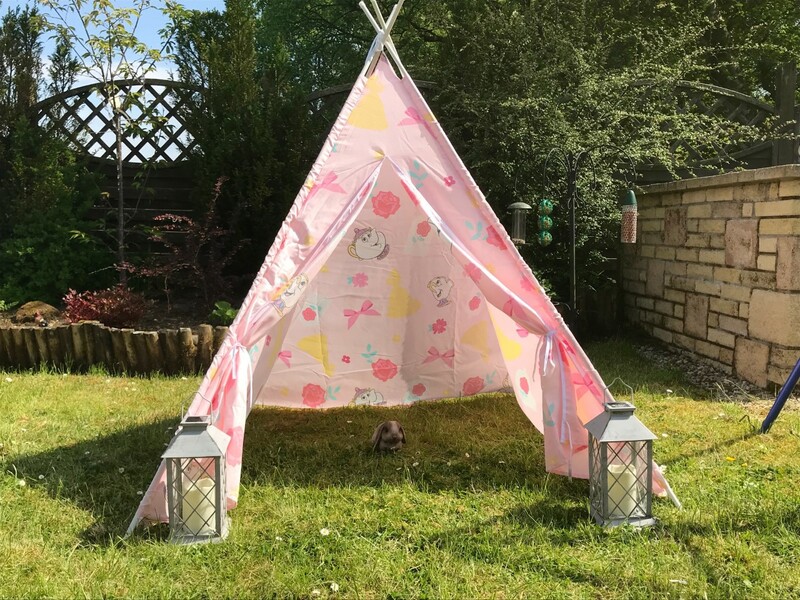 BUT, to be in with a chance of winning one of these fab teepees, head over to my Instagram for more details. As you are probably aware now, since we moved house, I wanted to find a way to get involved in the local community. 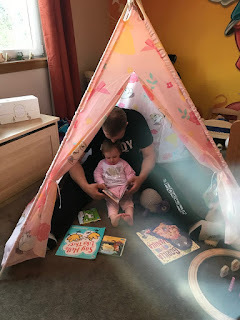 After Mara was born and with the time she spent in hospital it made me rethink a lot of things and my priorities changed, not only as a new parent. I wanted to do something that mattered. 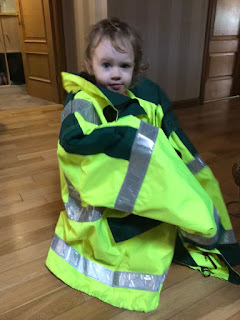 This is where my new post as a Community First Responder with the Scottish Ambulance Service comes in to play. A few people have asked me what exactly it is I do, others had never heard of such a thing, so I thought it would be a good idea to use my platform here and any influence I may have to explain it in as easy a way as possible. In a medical emergency, split seconds can mean the difference between life and death. Scottish Ambulance Service (SAS) Community First Responders (CFR) are essential to making sure help gets to the patients in time.